Debris found on the Indian Ocean island of Reunion is to be taken to France to find out whether it is from the missing airliner MH370. Malaysia’s prime minister Najib Razak said initial reports suggested the 2-metre long wreckage was very likely to be from a Boeing 777 and the location was “consistent with the drift analysis provided to the Malaysian investigation team”. 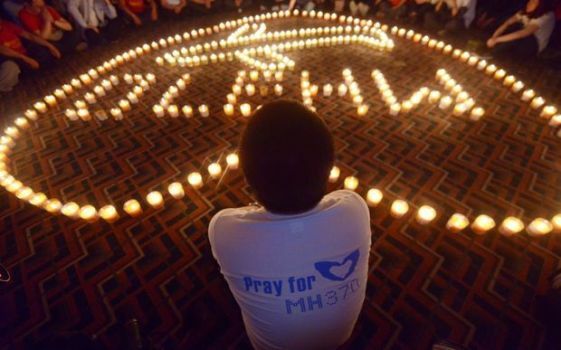 Malaysia Airlines’ flight MH370 went missing in March 2014 with 239 people on board shortly after take off from the Malaysian capital Kuala Lumpur en route to China on 8 March 2014. It is the only Boeing 777 to have disappeared over the ocean. A local shore cleaner on the Indian Ocean island of La Reunion, with the remains of a suitcase that could be from the missing flight MH370. The remains of a suitcase found the day before Reunion residents found a piece of plane wreckage. Oceanographer David Griffin, of Australia’s national science agency, told the BBC that the location of the find was “consistent with where we think debris might have turned up”. There were 239 passengers and crew on board the plane when it went missing. Mr Najib said French authorities were taking the debris to the southern French city of Toulouse – the site of the nearest office of the French body responsible for air accident investigations (the BEA) – to verify it as quickly as possible. He said the location of the debris was consistent with drift analysis provided to Malaysian investigators. Malaysia has sent a team of investigators and other officials to Toulouse and another team of experts to Reunion – a French overseas department. The BBC’s Chris Bockman in Toulouse says French aviation authorities have a huge hangar facility in the city to store and study wreckage, as they did with the Air France airliner that crashed on its way from Brazil to Paris in 2009. Aviation experts who have studied photos of the debris, found on Wednesday, say it resembles a flaperon – a moving part of the wing surface – from a Boeing 777. On Thursday, a municipal employee also found what appeared to be part of a damaged suitcase on the Reunion coast, according to local media (in French). A French police helicopter is now scouring waters around Reunion for other debris. Dr Simon Boxall, an oceanographer from the UK’s University of Southampton, told the BBC that the search for debris could also now include the coasts of Madagascar and South Africa, west of Reunion. “The key piece of information is still going to be sitting with the black boxes on the sea floor,” he said. Search efforts for MH370, led by Australia, are focused on an area west of the Australian city of Perth – about 4,000km east of Reunion. The Australian government has described the discovery of the wreckage as “a very significant development”. After MH370 disappeared from radar screens, experts analyzed data from faint “pings” the aircraft sent to satellites to narrow down its possible location. More than half of those on board the plane were Chinese citizens.